This Baroque fairyland is Berlin circa 1900. The Publisher Taschen has published 2 coffee table books of Photochrom images. These are black and white photos that were colored in for reproduction. The results are gorgeous. The books list prices are around $150 each. I was still tempted till I visited my friends at the Library of Congress who have a lovely collection, too. Free. Online. I have to post at least one more of these fascinating images. Not sure which one to choose. The pictures below are linked to slightly larger JPEGs at the Library of Congress. If you follow the text links, you can locate other sizes, up to gigantic (100+ MB) TIFF images. 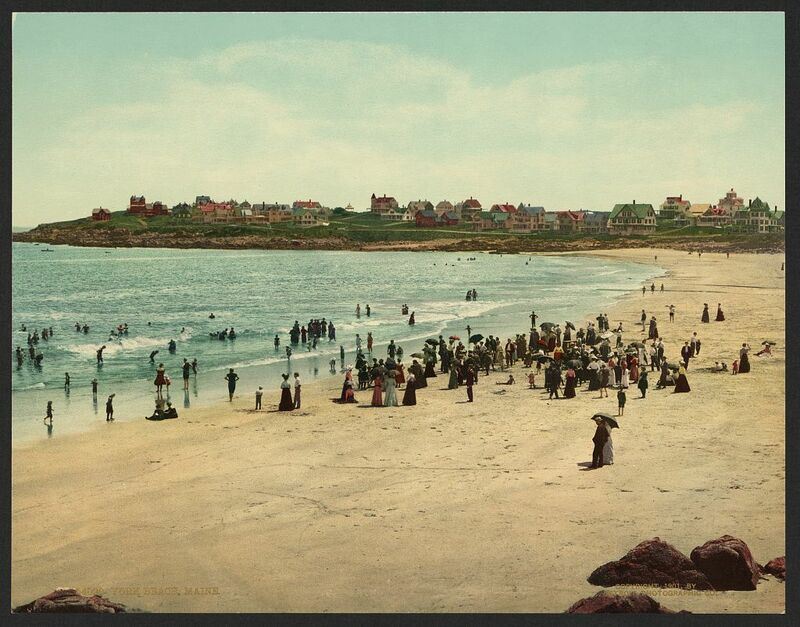 This is from York Beach, Maine, circa 1901. It’s not especially pretty, but it’s interesting: people in heavy clothing and umbrellas enjoying the beach (I suppose) with the interesting oceanside suburb in the background. 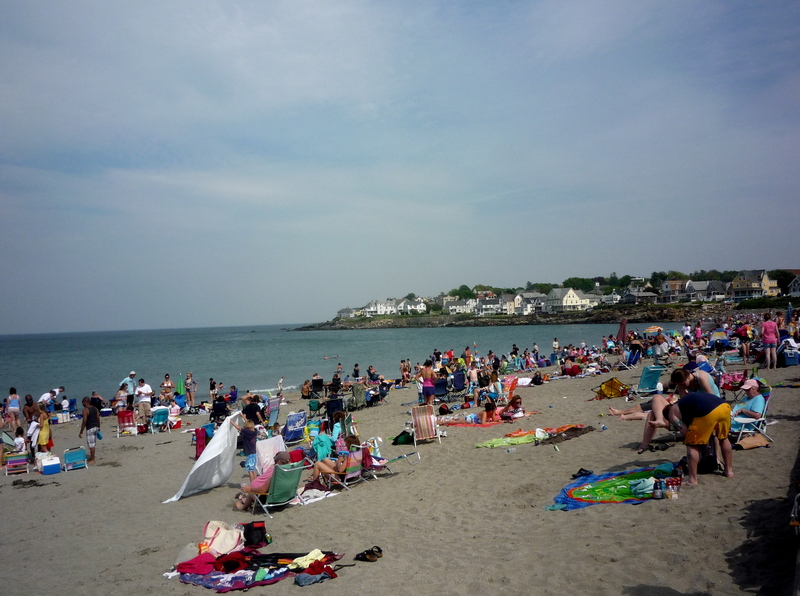 Below is a close-up taken from the 130 MB York Beach TIFF image. You can see kids wading, girls in sailor suits, and ladies with parasols. Not your 21st century beach scene. In another part of the picture I see a keyboard player (organ? upright piano?) next to a man in a red hat and smock. Maybe I’m just charmed by 115-year-old photographic images in color. 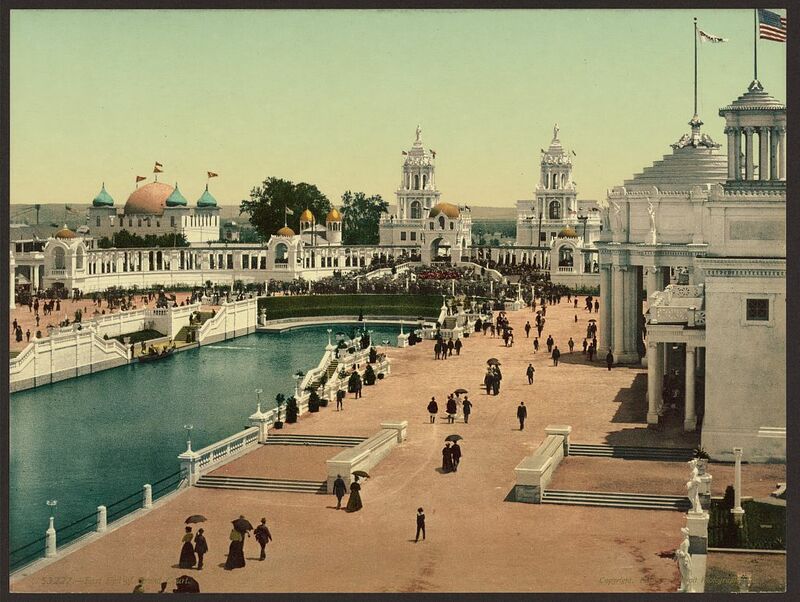 Here’s another one I like, from the Grand Court of the Trans-Mississippi Exposition, Omaha, in 1898. They’re essentially building their own version of a Baroque fairyland on the prairie. 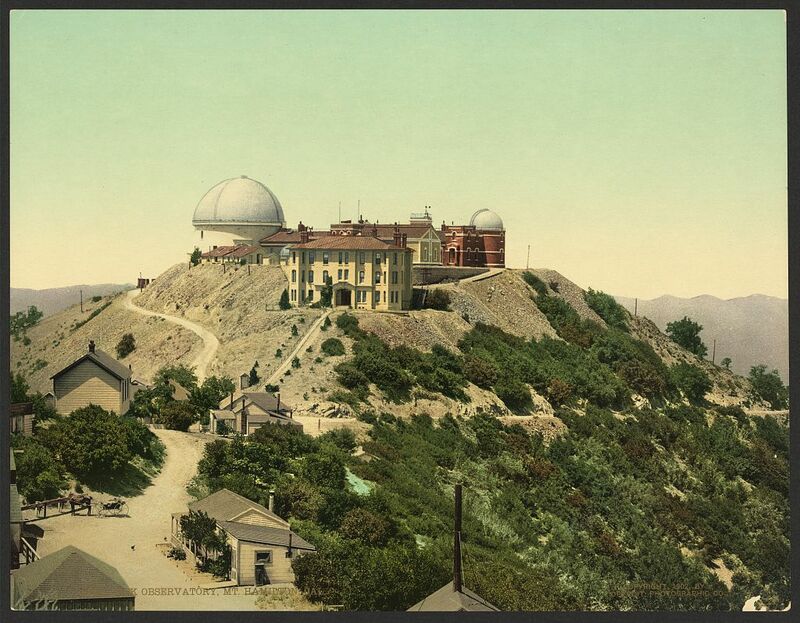 And one more: Lick Observatory on the ridge of the pre-silicon Silicon Valley. The photo from Berlin is a view of “Museum Island” which is still an impressive attraction despite Allied bombings.